Dr. Steven Chancellor shows off one of the new preschool classrooms. In a marriage of design and safety, the permanent stage and seating in the new performing arts center will also protect the community in the event of severe weather as it doubles as a FEMA shelter. Pictured above, two Purdy preschool students, Ryder Ellis and Callen Terry, sit reading in their new classroom. After a long process, Purdy’s youngest students are in their new classrooms at the school’s brand new performing arts and early childhood center on the school’s campus. The project, which was made possible through bonds and a FEMA grant, afforded the school a new choir room, two new preschool classrooms and a performing arts center for the school’s performances. Purdy superintendent Dr. Steven Chancellor said the space is already making a big impact for students of all ages in the district. 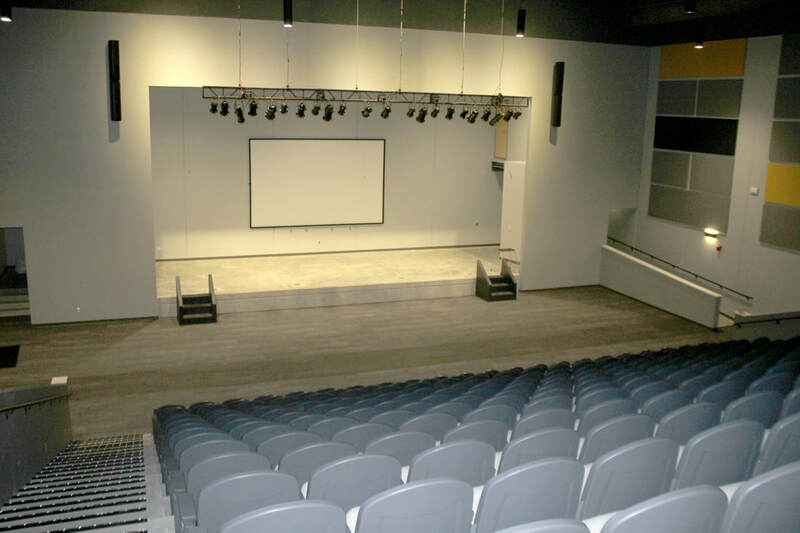 The preschoolers are enjoying their new space and multiple performances have already been held in the building which dons permanent tiered chair seating and additional bleachers at the top of the venue. The two preschool classrooms are spacious with plenty of different learning centers and play areas. Purdy’s preschool program is split into a morning class and an afternoon class, each with approximately 15 to 18 students. The school’s choir also has a room for practices on the east side of the building. 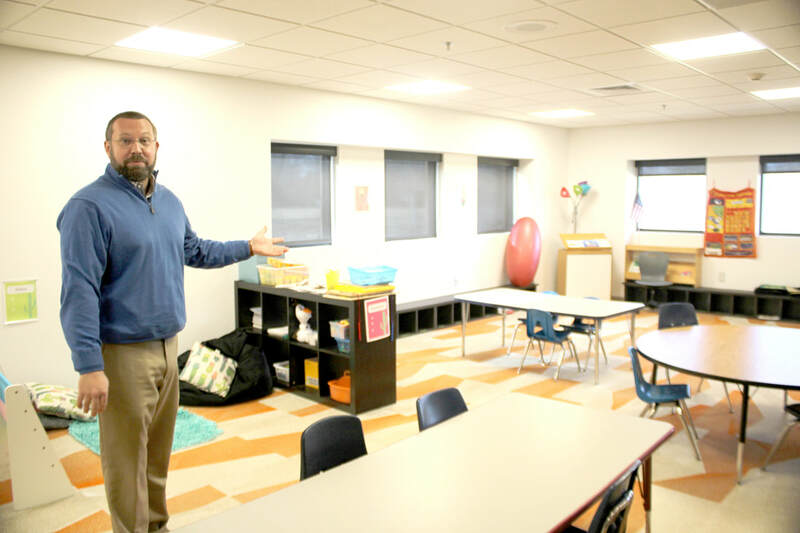 As with any new building, the school staff is learning what still needs to be added to make the space perfect for their needs, but overall, Chancellor said the space is perfect for them. So far, the school has only added mobile coat racks to accommodate students’ large winter coats. Dr. Chancellor continued, “We’re loving it. Prior to the completion of the FEMA building, performances were held in gymnasiums and other spaces in the main building, and preschoolers were taught in two different spaces. First was a former Army barracks that the school moved around campus for different purposes as a classroom. Later, daycare in Purdy sold, giving the school the opportunity to purchase it, along with all of the equipment. Dr. Chancellor said the school still owns that building, and that it eventually may be used to start a daycare at the school. The new preschool is also designed to grow, so there would be no need to expand classrooms back to the old building. The performing arts and early childhood center is designed to be able to add classrooms on the west side if the school needs to. They are also adding fencing and a playground once the weather is accommodating. With the FEMA project closing out, Dr. Chancellor said there are other projects the school plans to work on in terms of overall campus improvement. He said, “We are to the point of the closeout paperwork with FEMA, so we can’t put that 100 percent done stamp on it yet, but we are close. After that, we’ve got our eye on some lighting projects at the school to convert to LEDs and things like that. He said the FEMA project came in slightly under budget, which helps the school move forward with other projects. Purdy district voters approved a $2.3 million bond initiative on the August 2016 ballot. The bond was dedicated to constructing the new building with the aid of FEMA funding. Of the entire $4.165 million price tag, $2.3 million is a bond, FEMA contributed $1.579 million and the remaining approximate $286,000 is the responsibility of the district. The school broke ground on the project in January 2018 with construction complete in late fall 2018.